Fleas. Fleas are parasites, but they can also have parasites of their own. Isn’t nature just too beautiful? In fact, fleas are a common carrier of cat, dog and human internal parasite larvae. When a cat or a dog ingests a flea, the larvae get transferred to their next host—your pet. It is also a common for a dog to lick their owner’s face or for a cat to take food from their owner’s dish (without permission), in which case the larvae can travel to the human, but that’s another story. Where does an indoor cat get fleas? Fleas are often carried indoors on our shoes or clothes, and it does not matter if your house is generally clean (or even spotless). You would not likely notice a single flea (it might not even bite you), but flea would make a beeline straight for your cat once it came inside. Worm eggs. Several parasite species propagate by having host animals ingest their eggs, which are found in the environment. Worm eggs are often brought indoors on our shoes and clothes. Is your cat sniffing around your outdoor wear to check where you’ve been? Most cats do, as they are curious animals. And we all know what curiosity does to the cat; it gets them worms, at the very least. To help prevent this, keep your house clean and store outdoor wear out of your cat’s reach. Other pets. Do you have other pets that go in and out? Maybe a dog who you take for a regular walks? Even if he isn’t infested himself, that pet can transmit parasites to your indoor cats, regardless of whether they come into contact or not. They share the same environment and parasites are experts at infiltrating a new environment and finding viable hosts. In practicality, this means that when one of your pets has worms, others are possibly susceptible. When you deworm one of your pets, it is best that you simultaneously do the same for all the other animals in your home (and humans, too). Remember, deworming is purging, it does not provide immunity against future contact with worms, therefore it’s best to minimize future cases by taking preventative measures to ensure that none of your pets get worms. Food. Are you feeding your cat a raw diet? 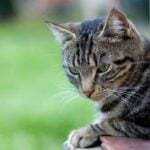 We do not actively discourage this, since, when done right, it can be a premium nutritional balance for cats (and if you like giving snacks to your cat, raw meat is typically the best option); however, raw meat is also a way for indoor cats to get worms. It’s not that common, but still possible. The good thing is, the risks are negligible if you select sources of ingredients carefully and comply with hygiene guidelines during the preparation process. Do you need to deworm an indoor cat? 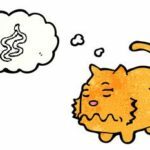 The possibility of getting worms is smaller for indoor cats compared to that of outdoor cats; however, most veterinarians suggest that indoor cats should be wormed almost as frequently as outdoor cats. Why? This is because it’s not possible to tell when your cat will be exposed to worm eggs or larvae again; therefore, you must provide preventive medicine on a regular basis. 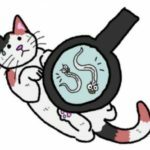 How often should you deworm a cat? This depends on several factors, such as where you live, how clean you keep your home, what other pets live in your household, what medicine is used, etc. 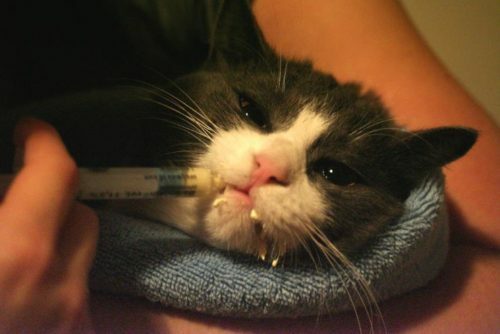 Most commonly, cats are dewormed anywhere between every three to twelve months (note: one deworming consists of two medications, usually administered two weeks apart). Talk to your veterinarian about the schedule that suits you best. Remember, keeping your cat indoors does not eliminate the risk of getting parasites. Although indoor cats have reduced risk, the risk is still here, and plausibly high. Therefore, regular deworming is the best preventative option if you want to keep your indoor cat free of parasites. 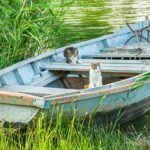 Is it safe for your cat to eat fish?